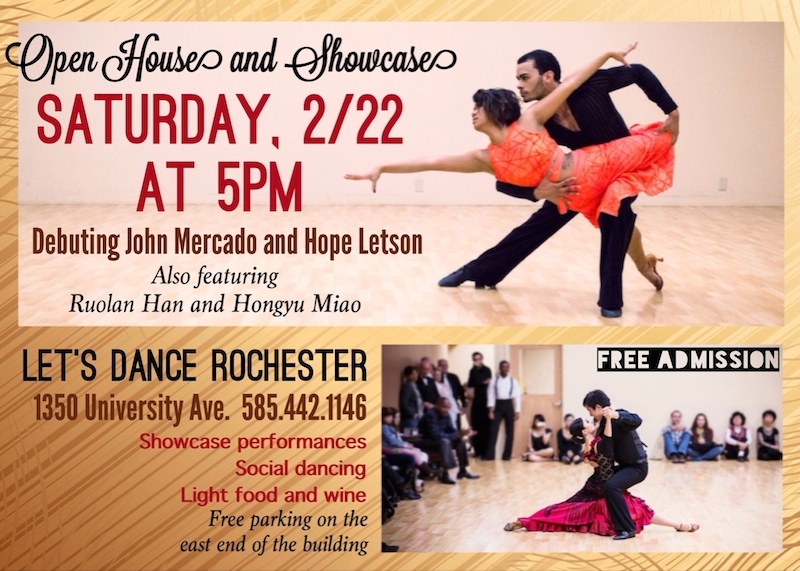 Let's Dance Rochester will have an Open House presenting John Mercado and Hope Letson, Rochester's newest professional couple on the 22nd of February. John and Hope will also be competing in Professional American Rhythm at the Toronto Chrystal Leaf competition in March. Tags: open house, Showcase, social dancing.